The article explains the process of removing A2X entries from Xero. You might want to do this, if you changed the format in which your settlements are sent to Xero. For example, if you were originally grouping your settlements by SKU, but have since changed that setting to 'Group All Sales', then you may want to re-send these settlements to Xero. Before re-sending settlements, you would need to delete the original entries in Xero, so you don't end up with duplicate A2X entries. 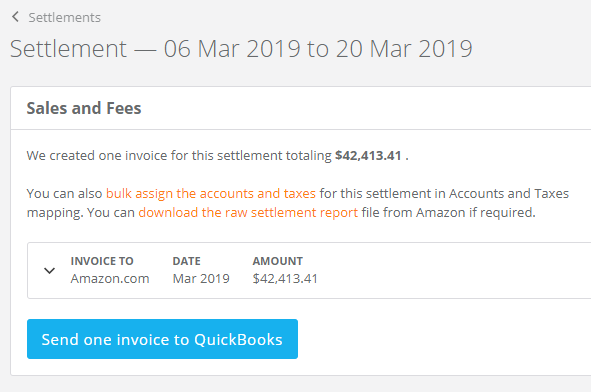 The above settlement has already been sent to Xero. Then, we have decided to change the settings in A2X from 'Group Sales by SKU' to 'Group All Sales', so we need to remove the original entry in Xero. Settlement is in Xero as a Draft Invoice - not approved or reconciled. Settlement is in Xero as an Approved Invoice - not reconciled. Settlement is in Xero as an Paid Invoice that is reconciled to a bank entry. The settlement is in Xero as a Draft Invoice - not approved or reconciled. 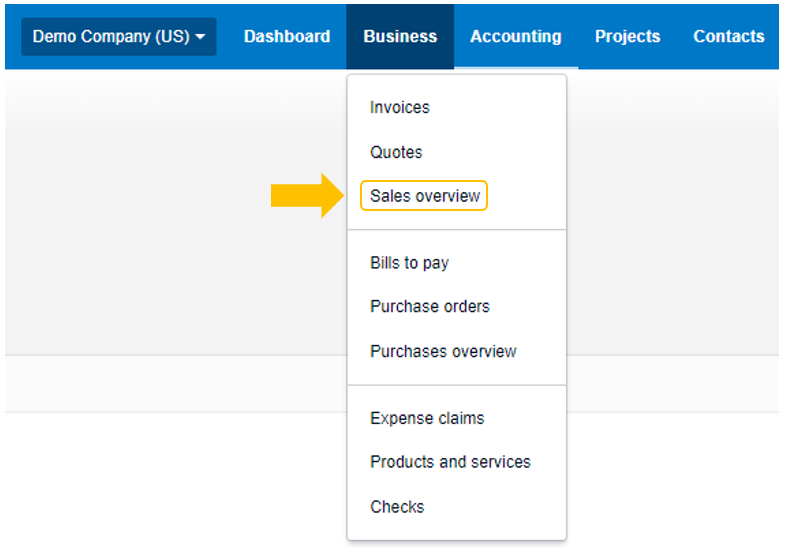 Click the 'Business' menu and then select 'Sales Overview' as shown below. Please Note: Select 'Purchases Overview', if it is a negative entry that needs to be deleted. 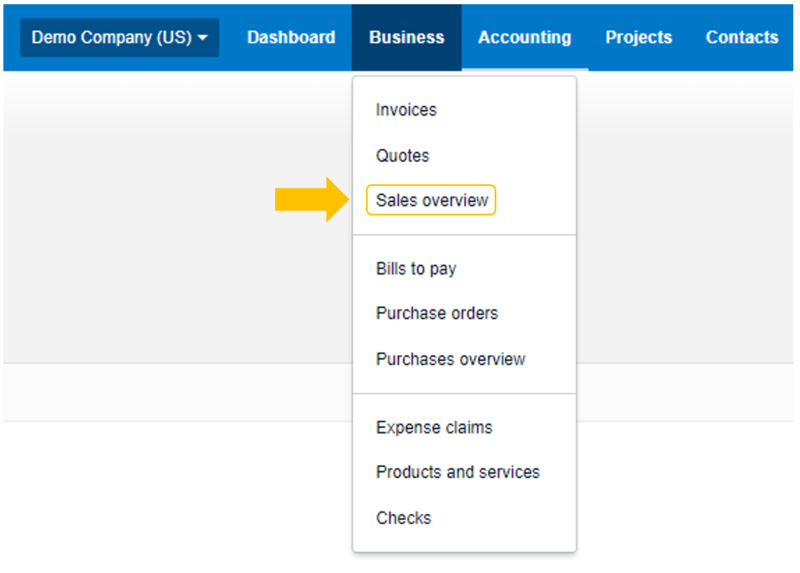 Then, click the Draft box to open up the list of draft invoices. You are now ready to re-send the settlement(s) to Xero! Please note: If the settlement crosses over a two month period (January and February), A2X will split that settlement by month. In Xero, one portion of the settlement will be dated January, and the other portion will be dated February. It is important to ensure you have removed both portions of any split settlement from Xero. The settlement is in Xero as an Approved Invoice - not reconciled. Then, click the 'Awaiting Payment' box to open up the list of invoices awaiting payment. When the page opens, click on the invoice to open it. Finally, click on 'Invoice Options' button and then choose 'Void'. This will remove the transaction so that it doesn't affect your accounts. Please Note: 'Void' function has the same effect as deleting an invoice, however since the invoice has been approved, we must void it to ensure we leave the correct audit trail. The settlement is in Xero as an Paid Invoice that has been reconciled to a bank entry in Xero. This scenario includes an additional step of deleting the payment that has been applied to the invoice. 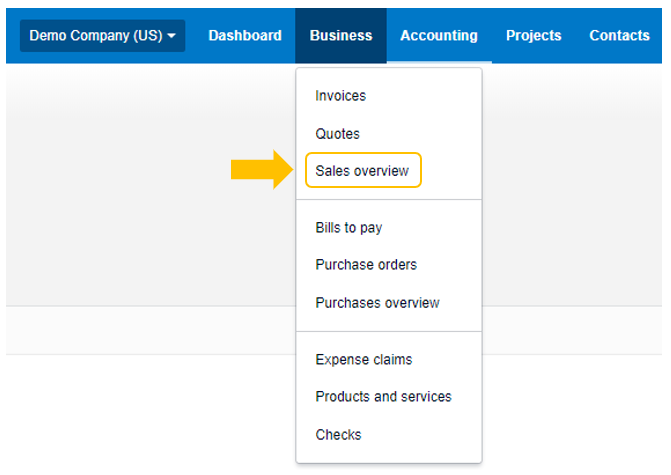 Click the 'Paid' box to open up the list of invoices awaiting payment. Click on the invoice to open it and then click the payment at the bottom of the page. You will be re-directed back to the invoice page, where you will be able to click 'Void', as explained in Scenario 2. This will remove the transaction so that it doesn't affect your accounts.